Sister-ships: Mecklenburg I, Mecklenburg II, Oranje Nassau, Prinses Juliana I.
November 27th 1917: Keel laid. 1920: Before delivery to Stoomvaart Mij. Zeeland, damaged by fire onboard. August 12th 1920: Delivered to S.M.Z. 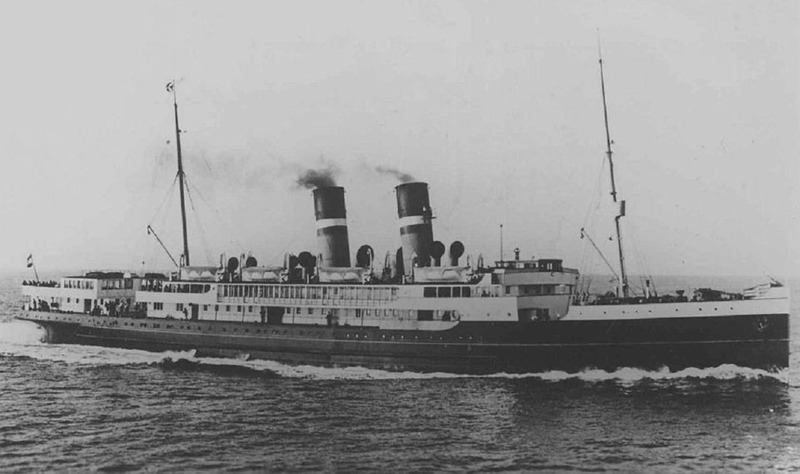 August 15th 1920: Maiden voyage Vlissingen-Folkestone. 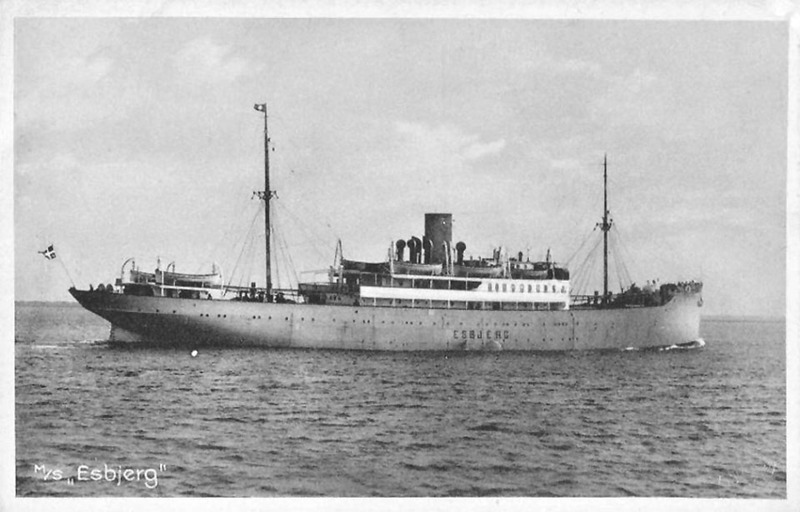 January 1927: Transferred to Vlissingen-Harwich. Boat deck extended and promenade decks fitted with glazed screens. June 29th 1935: Inbound, in broad daylight with 311 passengers, she was hit, starboard side abreast mainmast, by the outward bound ESBJERG (DFDS) off Dovercourt. Three injured. July 4th 1935: Left Harwich for repairs at Rotterdam. August 11th 1935: Back in service. November 21st 1937: Entering the Schelde estuary, in fog, ran aground near Flushing. 1939: Laid up in Vlissingen. May 11th 1940: Requisitioned by the Royal Dutch Navy as a Transport. May 12th 1940: During trip from Vlissingen to IJmuiden bombed by German planes. Heavily damaged, beached on Terheyden Bank north of the North Pier of Hook of Holland. June 24th 1940: Beached but broke in two in the same position (N51.59/E4.06). All information is believed to be correct and no responsibility is accepted for any errors or omissions found. All items included in this article are subject to © copyright.